Peyton Manning can’t throw in the cold? Well, that does it! 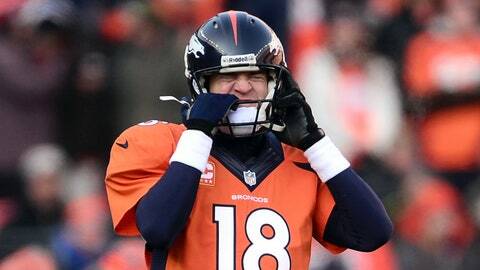 Looks like Peyton Manning has had enough. I think I like it when Peyton Manning gets mad. The Broncos superstar has fallen victim to the shopworn bellyaching from many an NFL critic, who say that Manning can’t throw well in cold weather. After all, some of his poorest performances have come against New England and other teams who play in chilly environments. That quote came via a Denver radio station. In case you were wondering, the kickoff temperature at Sports Authority Field at Mile High was 18 degrees. No exactly a sweat box.